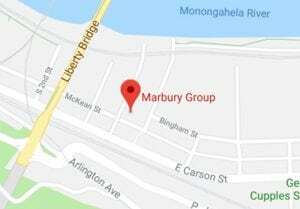 Marbury Group is a boutique style, marketing and advertising agency located in the South Side of Pittsburgh, PA. Our primary expertise is to provide media strategy, planning and buying services. We provide solutions across both digital and traditional channels for integrated and engaging campaigns. Additional core services include sports marketing and event planning. Marbury Group provides complete advertising services to our clients from the formulation of a campaign through full execution. Develop and execute thorough marketing and advertising strategies for optimized results and return on investment for our clients. Doug is the primary and point person of the company. 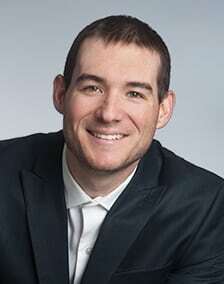 Doug is the lead strategist, negotiator, and executive project manager. Under his leadership, the Company gained and sustained enough business that it has been consistently ranked as one of the Top 10 Advertising Agencies in Pittsburgh. Doug’s relationships and industry experience have translated into steady growth and success for Marbury Group clients. 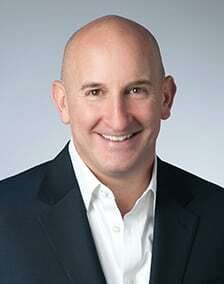 Douglas Shriber is a Pittsburgh native and President of Marbury Group. Doug formed Marbury Group in November 2011 after nearly 20 years in the advertising sales industry. Under his leadership, the Company gained and sustained enough business that it has been consistently ranked as one of the Top 10 Advertising Agencies in Pittsburgh. Doug’s relationships and industry experience have translated into steady growth and success for Marbury Group clients. His professional repertoire is critical for executing the media demands of our clients. Combined, his experience can be leveraged to ensure that media buys are critically evaluated to maximize the budget and safeguard the quality of the placement. Doug has a behind-the-scenes understanding of rate structures, audience development, stop-sets, traffic systems and logs, studio communication processes for on-air staff, and knowledge of the internal workings of the sales process. Understanding these elements, function to protect the integrity of Marbury Group media buys. Doug has first-hand know-how and insight to the media industry due to his 25-years of industry experience. During those years, he was consistently the top billing sales rep for iHeartMedia (formerly Clear Channel) and a two-time President’s Club Award winner. Outside of the office, Doug’s non-profit affiliations include serving on the Board of Directors for The Challenge Program, Board of Directors for Animal Friends and is on the Host Committee for the Animal Friends Black Tie and Tails Annual Event, American Kidney Foundation Planning Committee, Jewish Community Center (JCC) Planning Committee, and Board of Directors for the Pittsburgh Association. Doug is an active supporter of Variety Pittsburgh, Pittsburgh Institute for Neurodegenerative Diseases (PIND), and The Strazl Transplant Institute. In addition, Doug has developed unique experiences for patients of Children’s Hospital of UPMC to go fishing with Pittsburgh Steelers Brett Keisel and Ronald McDonald house patients ice skating with The Pittsburgh Penguins. Doug enjoys fishing, biking, running, and skiing – all the while being a proud living kidney donor. Doug is happily married to Sarah Shriber and is a father to their son, Nathaniel. 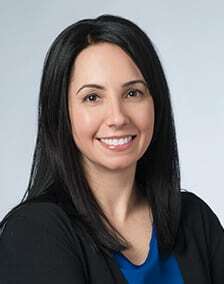 She has day-to-day project management; covers daily tactical needs, reporting and data collection, support schedule adherence, deadline management, and budget tracking. Kate co-manages all services with Doug to create a seamless and integrated working methodology. Kate brings nearly 10-years of agency experience. As Vice President of Account Services, Kate makes sure our client needs are being met from budgets and forecasting to creative executions and media placements. Marbury Group client work runs the scope of research, media planning, media buying and reconciliation (among other things); every step requires specific executions and oversight to keep it moving through all its life cycles. Additionally, she supports the Marbury Group team with behind-the-scenes efforts like new business development, project specs, timelines, workflow, vendor management and general media support. In other words, Kate has a hand in the client accounts and internal business aspects of Marbury Group. Kate’s professional history includes various positions in the nonprofit vertical before moving into the for-profit sector. She has a sound history of always thinking about project efficiency and making sure the plans run smoothly from start to finish. Kate joined Marbury Group in September 2014; daily she has a positive impact on the company while continuing to cultivate her skill set to fill numerous roles. As a graduate of John Carroll University, Kate learned to work hard and play harder, with a bachelor’s degree in Sociology. She is an active member of the Pittsburgh sports community; currently, a member of the Pittsburgh Gaelic Athletic Association, playing for the Banshees and she recently finished a 15-year tenure with the Pittsburgh Passion women’s football team. Oversees the media buying team for planning, proposals, and execution. She is a sophisticated media buyer and director with 35-years of agency and media experience. 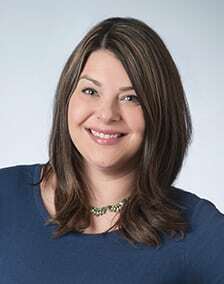 She has managed accounts such as Giant Eagle, Dollar Bank, WSB-TV, and Kennywood – just to name a few of the well-known accounts she has gained voluminous experience from. The goals and timelines for media buys at the micro and macro level are managed by her. Cathy is a leading team member with all facets of media activity flowing through the agency. 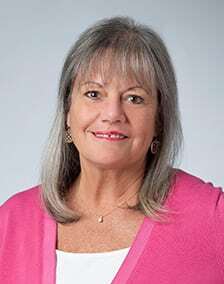 With close to 35-years of advertising and media buying experience, Cathy was primed to become the Director of Media Services at Marbury Group. 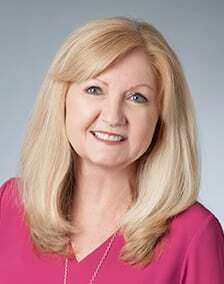 As a Director, Cathy oversees the media buying team for planning, proposals, and execution. Cathy has a wealth of knowledge for media buying at local and national levels. Her career has come full circle; Cathy started at Manheim Advertising, Inc. calling on clients that today are a vibrant part of Marbury Group’s client base. Throughout her career, she has managed some of the most well-known brands in the Pittsburgh market and has expertise in the Cleveland market. She has been a leading buyer for Giant Eagle, Dollar Bank, WSB-TV, Kennywood, and PPG Industries. Using finesse and pizzazz Cathy has applied her abundant experience with a forthright approach to craft the best solution to solving each client’s marketing challenge. She is methodical and thorough in her work. From the biggest to smallest of clients, Cathy gives her full ingeniousness to craft media buys that are effective and align with the best interests of each client. No media buy is the same, thus it takes someone with a razor-sharp skillset to build unique, powerful, and practical media buys. As a sunshine and sand chaser, Cathy and her husband frequently travel down south to the Florida beaches to let the stresses of work blow away in the salt-water infused air. With their three children now grown-up they have the freedom to play the vacation days away! Negotiates, purchases, and monitors all advertising space and airtimes on behalf of our clients. Andrea works diligently to reach the highest number of people in the target audience at the most efficient cost possible. She is a point person to active media outlets/stations. Slicing and dicing media is second nature to Andrea Hornish, Marbury Group’s Senior Media Buyer. She touts a wealth of experience in local and national buying stages. Andrea’s expertise intimately covers the buying needs of TV, Cable, Radio, Outdoor, Print, and Digital. It is of exceptional value that she is fluid with traditional and digital so that media strategies, ideal media mixes, and budgets are appropriately used. Though Andrea is young in her tenure with Marbury Group, her experience has been seamlessly applied to the benefit of Marbury Group. Starting her professional career at WDVE-FM as an Administrative Assistant, she then leveraged her experience and various posts to become a refined media buyer. Andrea developed her savvy media buying skills within some of the most premier agencies in Pittsburgh such as Brunner, Gatesman, and Yellow Submarine. It is of great benefit to Marbury Group to have her multi-agency perspective and know-how within our four walls. She has a leading role in working with our media partners across the country. From negotiations to digging up added-value placements – Andrea has flexed her media buying prowess, always for the benefit of our clients. Andrea is our in-house STRATA/FreeWheel expert. Her know-how within this complex media buying system allows us to maximize the tool and ensure that our media buys are flawlessly executed. Thankfully when problems arise she is just desks away and always willing to assist in the problem-solving process. Clarion University of Pennsylvania is where Andrea accomplished her Bachelor of Science in Communications, with a minor in Speech Communications. Andrea truly enjoys spending time with her family and friends. When she is not in the office, Andrea is most likely spending quality time with her rescue dog, Riley. Born and raised in Pittsburgh, Andrea is a very proud “Pittsburgher” and is an avid sports fanatic. She gladly welcomes any discussions about sports and fantasy football! Specializes in media execution, co-op/grant management, traffic, daily spot verification and account support. She touts almost 20-years of direct media experience via Slosar Advertising, her former post. Barb excels in the execution and management of Co-Op and Syndication Grant executions, media buying, budget management, traffic and all the while building and maintaining the strong client relationships she has cultivated through the years. Barb carries nearly 20-years of expertise in client communications, media execution, co-op, and traffic execution. Marbury Group has been enriched by her abundant experience and deep founded relationships within the marketplace. She has mastery of the inner workings of media buys and co-op partnership. Her experience lends way to an in-depth of knowledge of our national advertising buys. Barb is a critical team member for the on-boarding of clients with national campaigns. Having her high attention to detail and vast network of partners, she has bridged Marbury Group together with these valuable allies. She has a close eye to the details and a keen ear for quality check of produced media. Barb is extremely disciplined in her approach to work. She is always working ahead to make sure all the details and client needs are addressed in a timely fashion. Barb is our quality control gatekeeper, and nothing slips through the cracks on her watch. She offers counsel, client support, and meticulous attention to the details of our business. Our clients look to Barb for support and she always rises to the challenge. Barb is from Cleveland, OH. She and her husband enjoy their family and friends- and try to escape to the sunshine and warmth of the south as often as possible. As a co-op and traffic expert, Kelly works diligently to support the back-end of all media buys. She knows the ins and outs of procuring co-op budgets, executing them and finally reconciling them for reimbursement. Her proficiency of contract requirements and adherence to the contracts is an invaluable skill set for this industry. Within media, the devil is in the details – however, we have an angel who has the upper hand. Kelly Massare, Media Coordinator, is entrenched in the details of the media buys. She dives in to corral the moving parts with foresight and full attention so that the minor details do not become the unforeseen problems waiting to unfold. Kelly brings her precision for execution and expertise from her time at Slosar Advertising. Her work neatly transitioned to Marbury Group. We look to Kelly as a liaison between our client accounts and the executives within our many co-op partners. She knows the ins and outs of procuring co-op budgets, executing them and finally reconciling them for reimbursement. Her proficiency of contract requirements and adherence to the contracts makes her an extremely valuable team member. In addition, to being a co-op expert, Kelly has an excellent rapport with our clients. She keeps them on track and moving forward. Our clients can rest assured that having Kelly as a partner for organization and tracking, their creative output will fall in-line with the co-op needs and overall media strategy. Kelly is a busy woman. She is a sharp media professional and a mother to two young boys. Multi-tasking, juggling and getting things done efficiently is her natural skill set that gets a daily workout! Her and her husband hail from Cleveland, OH. She attended John Carroll University and graduated with a Bachelor of Science in Business Administration; Management, with a Business Technology Concentration. Aside from chasing her boys, excelling at her job – Kelly also finds time to regularly practice yoga, Barre workouts, and pursue other fitness interests. Company accounting, invoicing, daily time reports/spot checks, co-op support, fiscal reporting, and reconciliations are just a few of the areas Ricky maneuvers throughout the day. He is a numbers aficionado between his accounting background and time at BNY Mellon. Quality-control and the numbers flow through Ricky in his role as a critical and supporting team member of Marbury Group. Ricky, Marbury Group’s Office Manager, ensures that everything on the fiscal side of the company is accounted for, balanced and running smoothly. Marbury Group carries many respected and well-known clients locally and nationally, thus careful attention to the details as important to their business as it is to ours. Ricky manages the incoming and outgoing fiscal aspects on behalf of our client from the day-to-day to the big picture. He has developed and implemented systems that help the company to run smoothly, accurately and always functioning in a timely fashion. Additionally, Ricky works through the checks and balances of media reconciliations and fulfills all Accounts Receivable and Accounts Payable duties. His career in the media industry and within Marbury Group is ever growing; he now lends a hand to co-op needs, production and traffic details. Previously, Ricky worked at BNY Mellon in the Insurance Custody Division. There he helped his clients ensure their bookkeeping and balance outcome were accurate at the month’s end. Ricky’s client roster spanned across the country and was diverse in fiscal systems and needs. He has adeptly applied his learnings from BNY Mellon to the benefit of our Company. Ricky graduated from the University of Mount Union with a Bachelor of Arts in Accounting and a Bachelor of Science in Psychology. Additionally, at Mount, he was a four-year letterman on the Baseball team and boasts an Ohio Athletic Conference (OAC) conference title within his collegiate career. Maintaining a charitable agenda is an important part of the Marbury Group corporate culture. The mind-set developed at Marbury Group maintains equal importance of support and giving back to our community, across many organizations that are personally important to us. Listed below are non-profits that we actively support. We value the mission of these organizations and the impact they have on the those they serve.